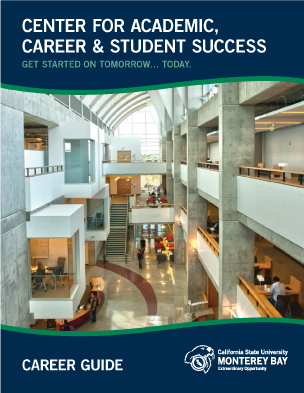 The Career Development office assists students and alumni through all phases of career development and bridge the transition between the academic environment and the world of work. Get help writing resumes, starting your career, and applying to graduate school. Recruit qualified job applicants through career fairs and on-campus communications. Search on and off-campus jobs. Career advisors are available to meet with you in-person Monday-Friday from 8:30am-5:00pm. Visit the CACSS office at the library in room 3180. Limited appointments can be made outside of regular business hours by request.